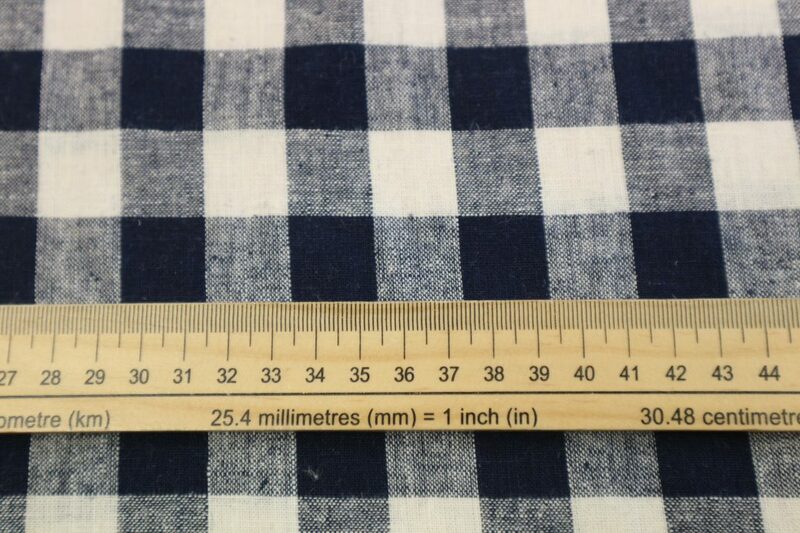 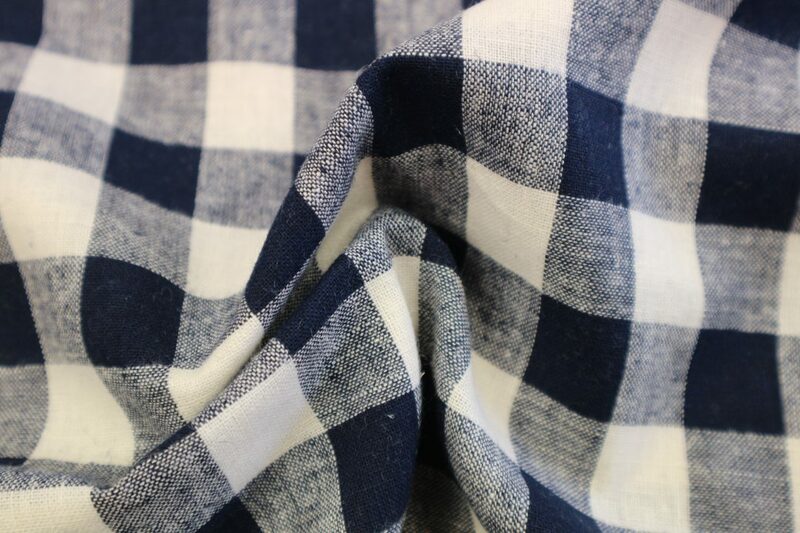 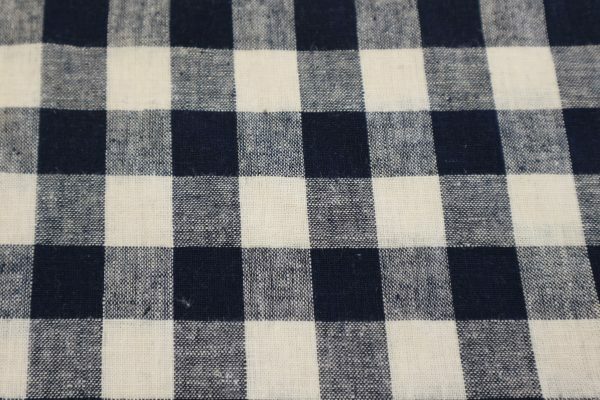 This beautiful navy and white large checked linen/cotton blend. 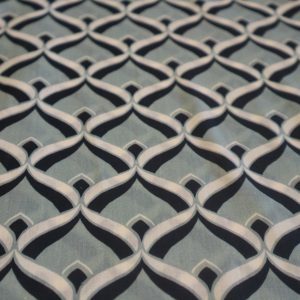 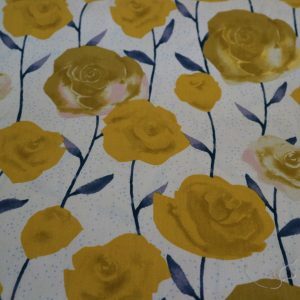 The cotton in this fabric makes it easy to handle and gives the fabric a lovely feel. 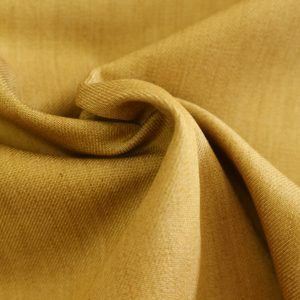 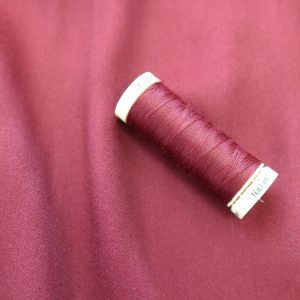 This cool, breathable fabric would be perfect for summer trousers or dresses.